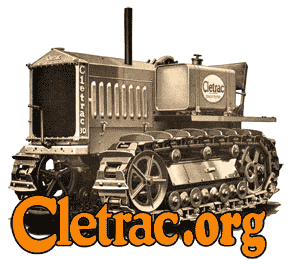 Cletrac.org > Cletrac Tractor Discussion > Subjects Related To All Models > need help !!! hey guys my stepfather passed away leaving 2 crawlers and parts.anyone in the CNY area that could help tell what we have and value please contact me. If you can post some pictures here, I'm sure you can get some quick answers. Also, try to get any make/model info from nameplates, engine tags etc. Every bit of info will help get you the answers you need. CNY=central new york.i'll see what i can do about pics.i,m not real savy with the ways of computer. chris,tryed to send you some pics yesterday.let me know if i was succsesfull. You may have big money there. Check Ebay for some idea. If you have a Magneto, or Distributor from a HG cletrac like the pictures on this Forum. I would be interested in discussing the purchase of it. Gerald Cramer.--- Central Mohawk Valley, NY..